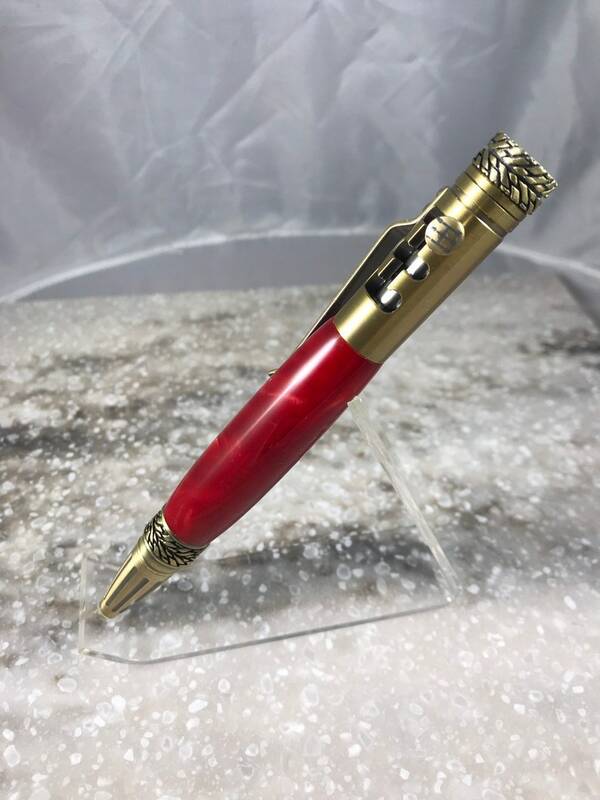 Hand crafted one of a kind pen with gear shifter mechanism. Based off a five speed H pattern finished in antique brass with a red acrylic body. Details abound to include classic etched five speed pattern on the handle along with a tire and hub cap. The pen tip displays tire tread and the clip resembles a crow bar. Color of ink is black and uses a standard Parker refill. Total pen length is approx. 5 inches. Price includes slide out gift box for easy gifting. Stock #20. NH Made store has no sales tax.